There were two important reports on the U.S. economy released this morning. 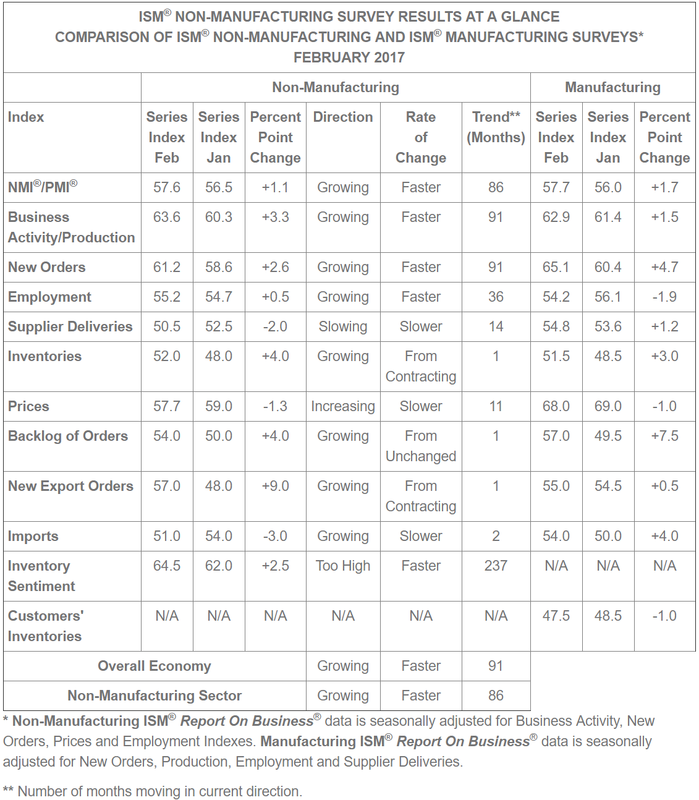 First, the purchasing managers' index (PMI) from IHS Markit for the U.S. services sector, which accounts for a much larger share of the overall economy than manufacturing, ended February at 53.8. That was a larger pullback than expected from the 14-month high hit in January but surveyed managers still reported that activity last month “had been bolstered by new contract wins and the launch of new products.” New business growth and job creation both moderated in February but the latter remained relatively solid, according to the report, as the continued expansion in new work was still putting enough strain on operating capacity to motivate service providers to take on additional staff. Many surveyed managers also said that their margins were being squeezed due to rapid input cost inflation, which may explain why the gauge of forward-looking (12-months ahead) optimism slid last month to the weakest level since September. 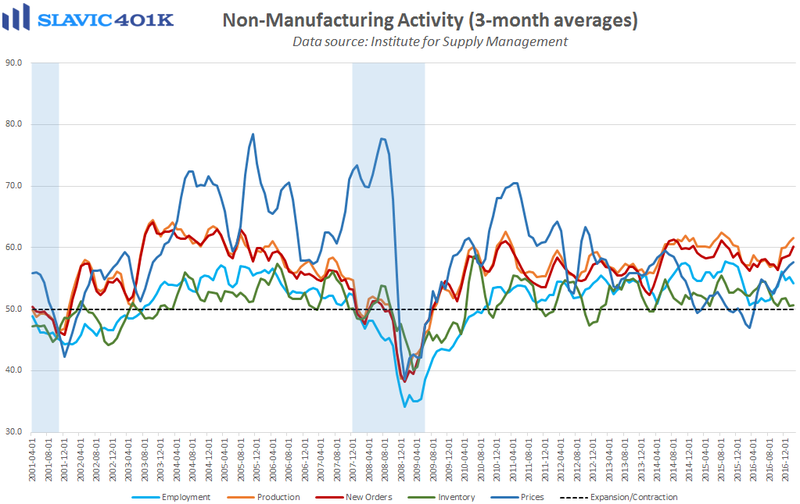 Chris Williamson, chief business economist at IHS Markit, added that “The burning question is whether the February slowdown merely represents some pay-back after a strong start to the year for U.S. businesses, or whether it is the start of a more entrenched slowdown.” Much more encouraging was the Institute for Supply Management’s (ISM’s) non-manufacturing index, also released this morning, which ended February at 57.6. That was better than anticipated and the highest headline reading since October 2015. Measures of new orders, production, exports, and employment all improved last month, and comments from surveyed managers were generally positive.